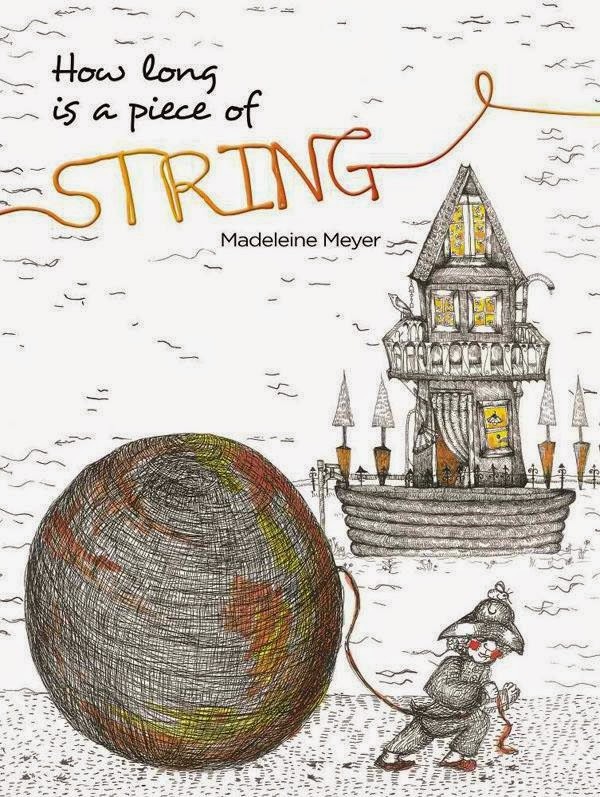 Buzz Words: How Long Is A Piece of String? the boy finds the dog on a strange, otherworldly seashore. All he has to guide him home is that trail of red string. A friendly and fabulously grotesque flying fish lends a hand (or maybe a fin) to rescue the boy and the dog and bring them home safely. As unusual and quirky as Lewis Carroll’s Jabberwocky, this wordless book shows that facing your personal monsters and getting past them to save a friend brings its own reward.